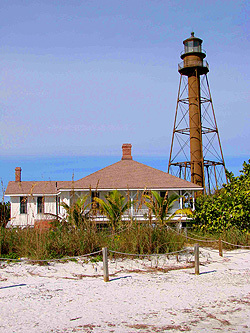 Sanibel is a small, unique and charming island where nature flourishes. Development has been curtailed and vegetation abounds. There are no billboards or high rises (buildings can't be higher than the trees) and you can't cut down a tree without permission! 40% of the island is a wildlife preserve and there is an emphasis on maintaining the island's natural environment and quality of life. The stores are fronted with trees, bushes and foliage to keep the natural ambiance of the island. Just 12 miles long and 5 miles across at its widest point, Sanibel is a barrier island located in Southwest Florida on the Gulf of Mexico coast, over the 3-mile Causeway from Fort Myers. Southwest Florida Regional Airport is just 30 minutes away. Shelling: Search for seashells along miles of unspoiled beaches, reputed to be the number 1 shelling area in the United States, where over 275 different kinds of shells wash up on island beaches. Boating: Canoe or kayak through the unspoiled waterways of Tarpon Bay, where you can watch for Manatee and hundreds of varieties of birds. Fishing: Surf cast off the beach, or take a charter boat for tarpon, flounder, grouper, mackerel or redfish. 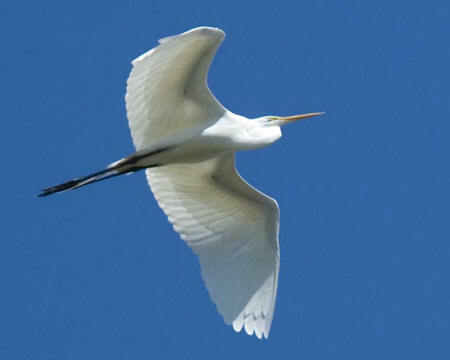 Wildlife: Bike, walk or drive the 5-mile nature trail at the J. N. "Ding" National Wildlife Refuge, a 5000-acre sanctuary, where you may see Spoonbill pelicans, herons, egrets, terns, white ibises and other interesting birds, as well as alligators, turtles, armadillos and river otters. Museums: Visit the Sanibel-Captiva Conservation Center with its several miles of walking trails, exhibits, marine touch tank and native plant nursery. Also the Bailey-Matthews Shell Museum is one of its kind in the US, with rare specimens, fossil shells. Cruises: Visit other islands - Boca Grande, Cayo Costa, Cabbage Key or Useppa Island. 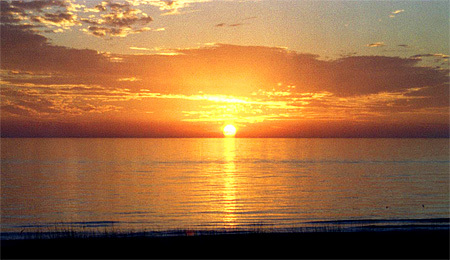 Or take nature, sunset, shelling, dolphin, or wildlife adventure cruises. Recreation Programs: Visit the Sanibel Recreation Center or the Senior Center for classes and fitness/exercise activities. Click here for more details. There is a Sanibel Island Trolley for a narrated tour, or transportation to nearby shops, restaurants or attractions. Enjoy art galleries, live professional theaters and shopping. We're sure that a visit to Sanibel will capture your heart. The sea, the shore, the sky, the birds, the wildlife, the hibiscus blossoms and the natural beauty of the island will make you want to return again and again.